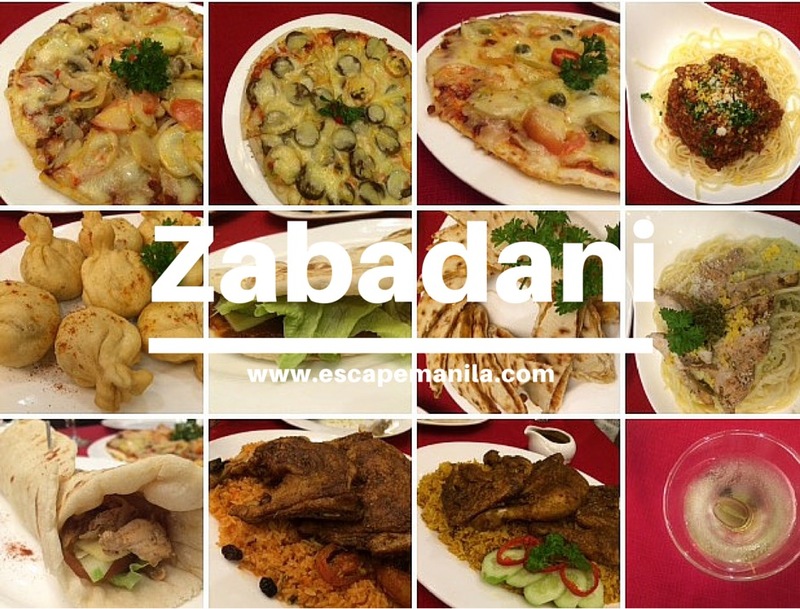 One of the Must-Try Restaurants in Davao, Zabadani Cafe & Restaurant is one of the few restaurants in the city that offers sumptuous halal foods. It mainly serves cuisines from the Middle East like kebab, kabsa, biryani, pita breads, hummus, and a lot more. Starting December today, December 8, 2015 they will also be serving pizza during their tea time from 2 pm to 5 pm. During a blogger preview of their new offering, we were able to try their pizzas, pastas and teas as well as their delectable biryani and kabsa. As expected, it was a night full of scrumptious dishes. Starting today, they will be offering three kinds of pizza – Mediterranean pizza, Vegetable Pizza, and my favorite Zabadani Pizza. For as low as P149, you’ll get a set of your favorite tea (red, Moroccan mint, herbs and flowers), a slice of pizza and pasta. It’s definitely a great value for money! As for the tea, we’ve tried both their Moroccan Mint and Red Tea. They’re a perfect match for the pizza and the pasta they served to us. Aside from the tea, we also tried their different coffee blends. I am not a coffee person but I definitely enjoyed their Layered coffee, half and half, and the crowd’s favorite – Guatemalan coffee. Chili Flakes & Garlic Sauce, a perfect match for their pizza! For the main course, we had their best selling Chicken Kabsa and Biryani. We already feasted on their pizza, pasta and shawarma so we’re almost full when the kabsa and biryani were served. But, since their kabsa is my favorite, I wasn’t able to resist it. I had to try it. It was good. It was really good! If you love Middle Eastern food or if you’re curious about Mediterranean cuisine, I highly recommend you visit Zabadani Cafe at RAMP Bldg, Corner Jacinto Extension & Circumferential Road, Davao City. You may call them at 0917-309-6008. You may also visit their Cotabato Branch at 2nd Floor Annex 1, Mall of Alnor, Sinsuat Ave., Cotabato City.